As Nigeria prepares for presidential elections in 2019, Nicholas Idris Erameh explains the failures its democracy to improve Nigerians’ standard of living. He argues that the Nigerian citizenry has moved from high expectation in 1999 to mass disillusionment, and he doubts that 2019 will offer better prospects. The global wave of democracy forced many developing countries, especially in Africa to abandon military rule for civilian rule. However, while the majority of African nations accepted democracy as a preferred form of governance, its practice and outcomes has varied largely among these nations. 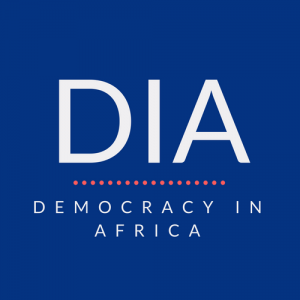 The problematic of the democratization process in Africa has therefore not only thrown up new governance challenges, but also led to contestation of the idea of democracy, its deliverables and implementation of its tenets in the African polity. In the case of Nigeria, since its return to democratic rule in 1999, national development and improved life for the citizenry has hopelessly failed. The failure of successive democratic governments since 1999 to deliver basic amenities such as security, welfare and other socio-economic infrastructure is evidenced by the majority of Nigerians wallowing in abject poverty and general hopelessness. The dearth of opportunities for Nigerians is attributable to counterproductive and unfavorable government policies. In essence, the promises of Nigeria’s return to democracy seem to have been short-lived, and this has led to general apathy on the part of the citizenry in the country’s politics. Consequently, the notion that democracy is the best form of governance is continually being challenged in Nigeria. The quality of life of the average Nigerian does not show for the country’s decades of democracy. The blame is put on a skewed democratic process that privileges a few political elites, who then use their power and privilege to shape, adjust, reorder and distort the economic architecture for their benefit. The systemic pillaging in the Nigerian oil industry, which is the lifeline of the country’s economy is an example. Consistent policy somersaults have ensured that importers of petroleum products continue to collude in order to defraud the Nigerian state and hold the people by the jugular. Successive governments have proved to be handicapped in the face of this brazen despoliation of the Nigerian economic space with patronizing politicians kowtowing to the wishes of the few, to dash the hopes of the economic emancipation of the majority. The political class has since 1999 perfected the habit of paying themselves vast sums from the national treasury while paying little or no attention to the prevailing poverty amongst the populace, in addition to the widespread infrastructural decay. The resulting polarisation means, therefore, that the government and the governed do not operate from the same plane of reality because the leaders are detached from the reality of ordinary people. In fact, the leaders have the status of gods. Hence, the individuals who have sought after elective positions on high moral pedestals have become worse than those they successfully criticized. Essentially, the desperate pursuit of state power without a corresponding commitment to public service as expected in a democratic state, has come to suggest that democracy in Nigeria remains nothing but a facade for legitimizing kleptomaniac tendencies. Successive presidents have demonstrated sheer ineptitude and lack of perspicacity to properly dissect the challenges that the citizenry faces. Nigerian presidents, both past and present, are caught in the web of party politics, prebendalism, corruption, human rights violation, muzzling of dissenting voices, undermining judicial and legislative institutions, and a general lack of commitment to executive agencies of the state. More worrisome is the unwholesome attitude of Nigeria legislators since its return to civilian rule. At both state and federal level, elected legislators are enmeshed in money politics, unwillingness to duly exercise their powers of oversight, party supremacy, leadership tussle, and flagrant display of the lukewarm attitude to the welfare of the citizenry. The activities of elected state governors and local government executives have further deepened this democratic deficit. Whilst, they admit their manifest role in providing welfare for the citizenry, as well as sustaining the country’s nascent democracy, they have however ended up in abysmal failure. And this is because of the lack of accountability in the Nigeria political system. Notwithstanding, the citizens are committed to sustaining the nation’s democracy through their participation in the electoral process – hoping their standards of living will improve. Yet, the electoral process in Nigeria, is fast becoming a mirage as the desperation of the average politician has produced rigging and thuggery during elections so much that the sanctity of the electoral process – one that constitute the bedrock of democracy, is being desecrated continually. This is made worse by the complicity of the electoral institutions, saddled with the responsibility of conducting free and fair elections. The lack of independence of the electoral institutions has ensured that, they at best remain tools in the hands of incumbent politicians. Undoubtedly, it is pitiable that at this stage of Nigeria’s democratic experience, the successful conduct or otherwise of credible elections remain in the realm of intense speculation. And, this has not only dashed the hopes of the citizenry, it is equally leading to mass disillusionment with the electoral process. 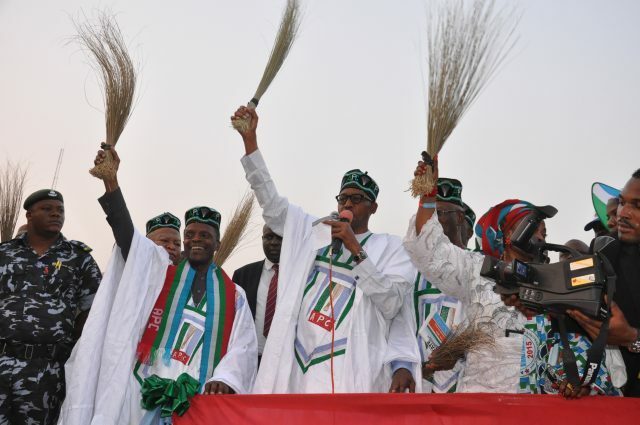 While, the nation prepares for the 2019 elections, the manner in which politicians have been cross carpeting within parties, suggest that the possibility of having a free and fair election remains doubtful – and Nigerians will have to continue fending for themselves. Nicholas Idris Erameh is a lecturer at Chrisland University, Nigeria. Previous articleZimbabwe’s new cabinet: Balancing patronage and merit? But what we realistically do about this state of affairs?